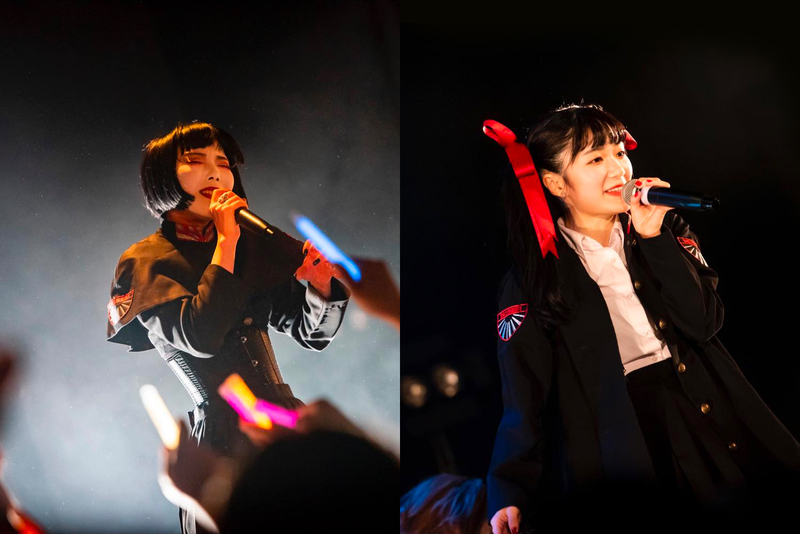 NECRONOMIDOL parted ways with Sari and Hina Yotsuyu with an electrifying performance at Shibuya WWW X on January 7, 2019! As the clock struck the appointed hour, darkness fell in the venue and the fans surged forward as the 5 members of NECRONOMIDOL stepped onto the stage for the last time. Kicking off the evening with “STRANGE AEONS” and “WITCHING HOUR” followed by “puella tenebrarum” and “les tenebres sans visage”, NECRONOMIDOL’s opening attack set the tone early. Turning to the bleak frozen northern wastelands with “ITHAQUA”, the members of NECRONOMIDOL were met by a barrage of calls and handclaps, fans lifting each other towards the stage and singing along to the haunting melody. The final greeting of the 5-member lineup followed, fans bowing down as Sari introduced herself. The dark pulsating synths and haunting vocals of “INNSMOUTH” filled the air as the performance resumed, giving way to the rapid guitar riffing and jackhammering drum beats of “thanatogenesis” as the fans rose up to pay tribute to the members one by one. Demonic laughter, spoken word, and atmospheric vocals unwrapped a tale of heartbreak and temptation as “IN BLACK” seeped from the speakers. Pipe organ harmonies swirled around Rei Imaizumi as she opened “dirge of baldr”, summoning together the masses into a floor-shaking mosh pit as the battle raged on. Surveying the chaos unfolding before her, Sari smiled and curled her finger, urging the fans to give her more of their power. Risaki Kakizaki got the crowd clapping along as she and NECRONOMIDOL turned up the dirt with “MIDNIGHT DOMINATOR”, accelerating ever closer to the end of the night. The members took turns sharing their feelings about their last performance together, Sari once again ordering her loyal subjects to kneel as she spoke. Sari expressed her heartfelt thanks to everyone who supported her, adding a “Thank you so much” in English at the end. Hina fought through tears as she thanked the fans for helping her grow as much as she did during her time in NECRONOMIDOL. Himari reminisced about joining the group during the “DAWNSLAYER” era and shared her love for the members. Voice quivering, Rei thanked the audience for coming and conveying her satisfaction on the performance up until that point. Risaki’s comments looked far into the future while reminding fans that NECRONOMIDOL would keep going. 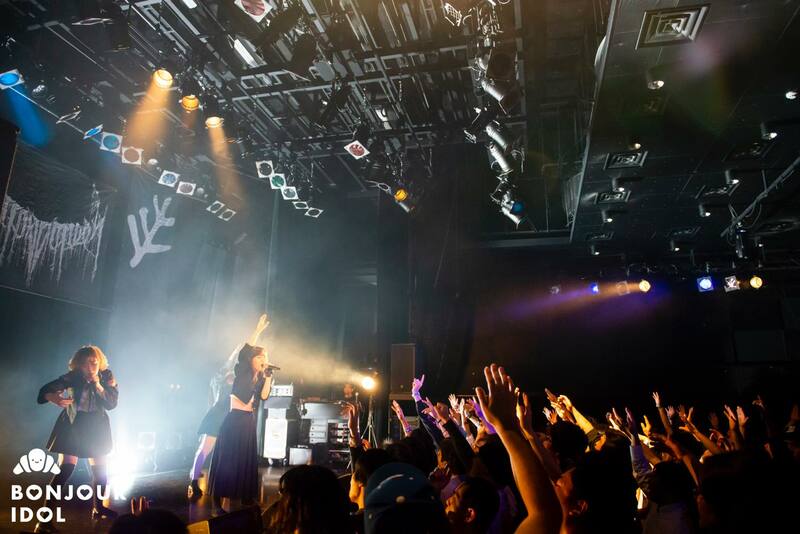 Shaking off the emotions of the stage talk, NECRONOMIDOL launched into the final stretch with “END OF DAYS”, vocals soaring through the jagged layers of guitars and pulsing rhythm. “STARRY WISDOM” and its tidal wave of synthesizers washing ashore, several human walls rose up as Sari sang her opening lines. A mix rang out and the floor trembled under the feet of the audience dancing along and lifting each other up towards the night sky. More moshing and lifting ensued during the chaotic sonic attack of “SARNATH”. The shimmering synth intro of fan favorite “SKULLS IN THE STARS” was accompanied by the sound of hundreds of cyalumes cracking as a 5-colored rainbow of lights shined brightly for the final song of the evening. The mosh pit churned and bodies crashed into one another as fans were lifted to pay their final respects. Thanking the fans, NECRONOMIDOL left the stage in its previous incarnation for the last time. 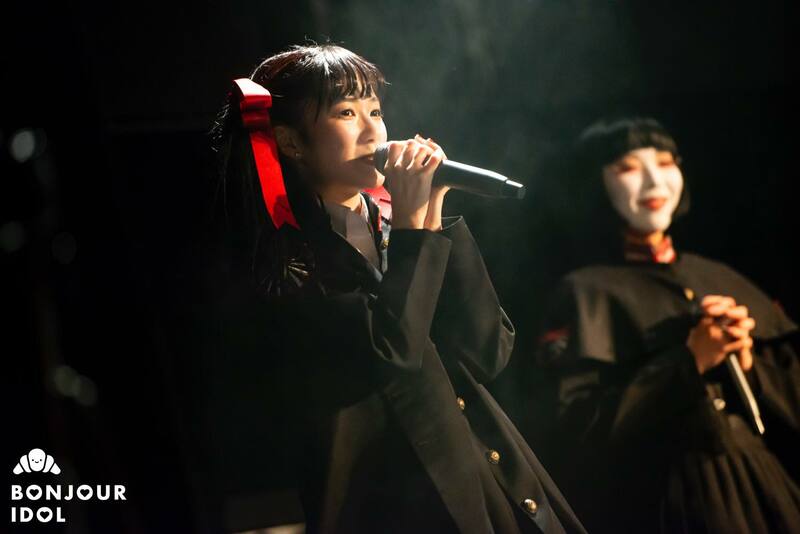 New members Kunogi Kenbishi (formerly Hibiki Kunogi of Gekijoban Gokigen Teikoku) and Michelle made their debut with the group on January 13, 2019 at Shibuya Cyclone. 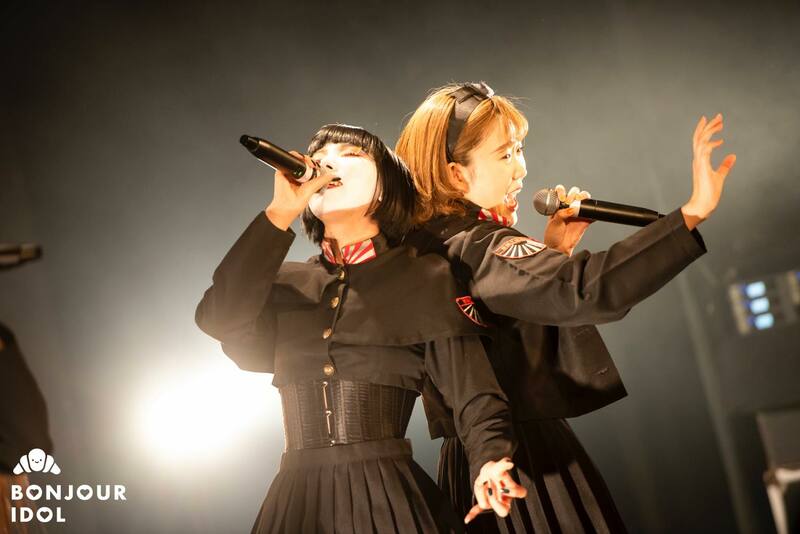 NECRONOMIDOL may have parted ways with two of their most senior members but the saga of NECRONOMIDOL continues. Don’t turn your back on the darkness as you never know what it will reveal next!